Mahindra and an independent India had begun their rise together. In the year 1945, two enterprising brothers named J.C. Mahindra and K.C. Mahindra and an independent India had begun their rise together. In the year 1945, two enterprising brothers named J.C. Mahindra and K.C. Mahindra had joined forces with Ghulam Mohammed and started Mahindra & Mohammed as a steel company in Mumbai. Two years later, when India won its independence, Ghulam Mohammed left the company to become Pakistan's first finance minister, and the Mahindra brothers ignited the company's enduring growth with their decision to manufacture Willys jeeps in parts of Mumbai. 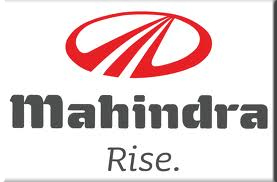 The company got its new name - Mahindra & Mahindra already at that time. The Mahindra brothers believed that new modes of transportation could serve a key development to India's prosperity. Now, after 65 years Mahindra has tremendously grown from a humble local outfit to a US $16.2 billion corporation employing more than 155,000 employees around the world. It's been quite an adventurous journey for which Indians are proud of the global leadership in utility vehicles, tractors, and information technology. The Mahindra Group comprises ten business sectors - Aftermarket, Automotive & Farm Equipment, Defense Systems, Financial Services, Hospitality, Information Technology, Real Estate, Systech, Two Wheelers and Mahindra Partners - with a presence in 18 industries. In 2009, Anand Mahindra joined forces with other business leaders and intellectuals to support the creation of the Indian Council on Global Relations, better known by its brand-name, Gateway House. The company's Employee Social Options Program (Esops) usually connects Mahindra employees with people who need help. Each year the company organizes the ongoing initiatives or one-time programs to reach out to groups like being a helping hand to the elderly, the disabled, disadvantaged students, or rural population. During the year 2010-2011, 15,147 Esops volunteers contributed 73,509 man-hours. Every year more and more volunteers join the group of the company and the company has more than tripled in size since the first Esops in 2006. Mahindra Finance and its subsidiaries offer a complete range of financial services and insurance solutions for both businesses and personal life. The flagship financial services business provides vehicle, asset, and personal financing. The general and life insurance broking services provide customers with security and protection. It provides rural housing finance for new construction and renovation. The business insurance plans protect the small businesses that drive employment and economic growth and safeguard against risks that might otherwise have lifelong ramifications. The organization has more than one million relationships with customers in rural and semi-urban India, making it the largest non-banking financial company (NBFC) in the country. Mahindra entered the industrial equipment market in the year 1992 with a range of high-efficiency conveying equipment for the cement industry. It's longstanding experience in manufacturing gave the country the firsthand understanding of the importance of reliable and effective material handling equipment. The organization had quickly expanded to serve the power plants, heavy chemicals, and mineral processing in addition to cement. In each of these businesses, material handling systems make a tremendous difference to a firm's competitiveness. It has specialized in the bulk and unit handling systems to give the clients most relevant and useful technology.